a) Sort order of display payment methods. b) Store ID is given when you add a new online store. 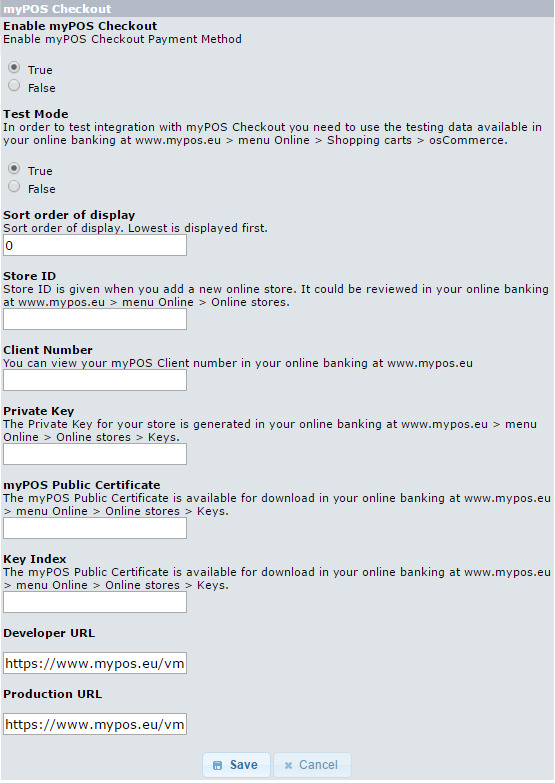 Once myPOS Checkout is configured your customers will be able to choose it as a payment method and pay for your goods and services easily and secure using their Debit/Credit card or iDEAL.